In the climate alarmists’ worldwide crusade against carbon dioxide gas, only the most delusional still believe that wind and solar power add anything to their arsenal. Australia is the only G20 country with a legislated prohibition on nuclear power generation. However, the combination of the Federal government’s new National Energy Guarantee (NEG) and the associated Emissions Obligation puts nuclear power firmly on the table. As we have said repeatedly, nuclear power is the only stand-alone power generation source which is capable of delivering power on demand, without CO2 emissions being generated in the process. From a power retailer’s perspective, nuclear power is a source which is obviously capable of satisfying both its NEG obligation and its Emissions Obligations, were such a choice available. When Alan Finkel put together his unicorns and pixie dust review of Australia’s renewable energy debacle, he managed to dismiss nuclear power in two short paragraphs. Now that reliability is the primary focus of energy policy under the NEG, sources with a 100% capability of delivering power, irrespective of the time of day or the weather, will necessarily attract attention. Add in an obligation (along with sufficient penalties) to deliver that power without CO2 emissions being generated, and the case for nuclear power in Australia becomes obvious and compelling. The French use nuclear power to generate around 75% of their electricity and they pay around half of what it costs retail customers in wind ‘powered’ South Australia. Anyone claiming nuclear power is expensive, clearly haven’t been paying attention. 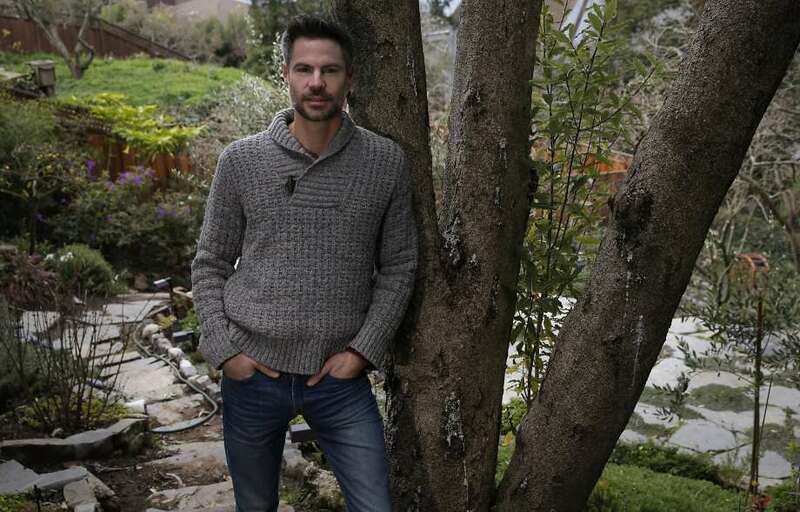 A few posts back, we reported on one of America’s leading eco-warriors, Michael Shellenberger and his road to Damascus moment. Michael has turned on wind and solar with a passion, instead he’s now advocating for an all-atomic energy future, simply because the latter provides reliable power, whereas the former are a childish nonsense. Here he is being interviewed by Alan Jones (radio podcast below, with transcript following). For those with good internet, the podcast is well-worth the ticket price. Alan Jones: I told you last week that this fellow, John Barilaro, the Deputy Premier of New South Wales, proved on the energy issue to be the hope of the side. He made many valid points primarily to simply say that the problem is not supply. We are the greatest energy exporter in the world, the greatest coal exporter in the world. We are about to become the greatest gas exporter in the world. We’ve kept none for ourselves, and Canberra in disarray. As you know, I’ve cited regularly my own experience with my father on the farm, a dairy farm. He’d say every morning, “Son, find out how much milk your mother needs for today.” In other words we owned the milk, we kept for ourselves what we wanted and the rest went to the factory. So should be with gas and coal, pretty simple. I want to take the man from Queanbeyan, Barilaro, another step down the energy track today, because in May this year the Legislative Council of New South Wales’s upper house, or internationally people would think of as a Senate, unanimously, unanimously, passed a motion against establishing nuclear power. You’re writing to me about this all the time, this madness, and this was described at the time, triumphantly, as a slap down to Barilaro. His common sense had led him to say, way back in May, that we should establish nuclear power in New South Wales. 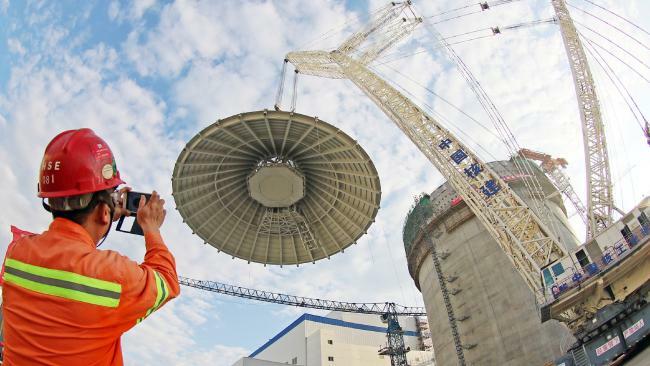 As of last year, 30 countries operated 550 nuclear reactors for electricity generation around the world, and there were 60 nuclear plants under construction in 15 countries. That’s according to the Nuclear Energy Institute. 20 under construction in China alone. We’ve got 40% of the world’s uranium reserves and we don’t have one, unless you want to call the medical facility at Lucas Heights a nuclear reactor. We go on about coal and gas and solar, and nothing about uranium, and yet we have an energy crisis. If the Labour Party want half of our electricity from renewable energy by 2030, that will cost about a hundred billion dollars, a hundred thousand million in new wind, geothermal and solar capacity. And you’ve got Frydenberg and Turnbull in Canberra today talking about a new energy policy and still talking about renewable energy. We’d need 10 times the present number of wind turbines, an extra 11,000. That would cost 65 billion, but it’s illegal to operate a nuclear reactor in Australia. Russia, the United States, Japan are building new ones. In France local politicians have long competed to have the next nuclear reactor built in their region, because of the jobs and the commerce they inevitably foster. We are a joke. We’ve got 40% of the world’s uranium reserves, 30 countries as of late last year operating 450 nuclear reactors for electricity generation, 60 nuclear plants under construction in 15 countries as I speak, and our dopey New South Wales upper house and Parliament in Canberra passing motions against establishing nuclear power, boasting that this is a slap down to the Deputy Premier Barilaro. Canberra, we’ll forget them. On energy, clueless. More than half the world has access to some electricity generated by nuclear fission. The United States generates about 30% of the world’s nuclear energy. Over 5% of the planet’s total electricity is generated from nuclear reactors, and if we want to continue to grow and have a large base load electricity for smelting and refining and general industry, we must either increase the number of coal-fired power stations or go nuclear. To have both of course, and we are capable of having both, would create energy security. The South Australian Royal Commission into nuclear power estimated that a large-scale reactor would cost 9.3 billion. We’re the only G20 country without nuclear power, and the perfect place for future reactors would be South Australia. But the Finkel review totally ignored nuclear power as an option and pushed harder for more and more renewable energy. So Victoria’s looking at 25% renewables by 2025, South Australia 50%, the ACT 100%, Queensland 50%, and we are going broke on renewables while other countries have a mixture of energy sources and are building new coal-fired power stations, and as I said, 60 nuclear plants under construction in 15 countries. And coal-fired power stations, well 583 under construction or planned in China, 271 in India, 145 in Indonesia, 71 in Turkey, 84 in Vietnam, 43 in Japan, none in Australia. Most of these coal-fired power stations will use Australian coal. Back to nuclear, one of the world’s leading new-generation environmental thinkers has said the renewable energy experiment with wind and solar has failed. Michael Shellenberger is a former renewables advocate and adviser to Barack Obama when he was President. He is now global champion for nuclear energy, which he said was the only option to replace coal and gas on a global scale. He’s on the line from Berkeley, California. Michael Shellenberger, thank you for your time and good morning to you. Michael Shellenberger: Thanks for having me on the show. Alan Jones: Please tell us that we’re not the only people who are completely stupid. Here we are, people are writing to me every day, we’ve got 40% of the world’s uranium reserves. We don’t have one nuclear plant, one nuclear reactor, no electricity from the massive reserves of uranium. I think we’re all going off our head, aren’t we? Michael Shellenberger: Yeah, Australia is unfortunately one of the worst performers when it comes to clean energy. Only Germany is really doing worse, they’re trying to phase out their nuclear plants and their air pollution has been increasing every year for the last three years, so if you care about the natural environment, if you care about clean air, and if you care about the things that you talked about, the reliability of electricity, then we need to have significantly more nuclear plants. Alan Jones: I’m sure you understand the political system here, we’re a federation, we’ve got a stack of states, Queensland has its own government, New South Wales, Victoria and so on, and then of course a Federal Government in Canberra, but we have a Deputy Premier in New South Wales who’s a bloke, a small businessman from the bush. And of course he was climbed into because he advocated nuclear energy, and then he said to me, “It seems to me that political correctness and our obsession with minimising risk of immediate backlash …” this is John Barilaro, “is restricting our ability to talk about solutions because they’d be unpopular in some sections of the community.” He said, “If we allow this to continue, we’ll only become more risk-averse and less likely to look at solutions that would benefit us in Australia and New South Wales.” That’s about it, isn’t it? Michael Shellenberger: That’s spot on. It is risk-aversion, I guess, but every major study for the last 40 years finds that nuclear power is the safest way to make reliable electricity. You don’t have the risks that come with coal and fossil fuels, both in terms of mine collapses and air pollution, and the accidents themselves that everyone worries so much about hardly have any impact on people’s lives. Chernobyl, the World Health Organisation and the United Nations say will after 100 years, less than 200 people will have been killed by that accident. And Fukushima, the meltdowns will kill nobody, and meanwhile we have seven million people a year that die prematurely from air pollution, hundreds that die in natural gas explosions, coal mine collapses, so for people that are truly risk-averse, nuclear is actually the best bet. Alan Jones: Absolutely, by the way I should tell my listeners, Michael Shellenberger will be here in November to promote a rethink on nuclear, and I say to Michael, good luck, good luck, because they’ve got brick walls up in front of all of this. But you rightly say in relation to wind and solar that they at their very best have to have backup, and they’re doubling the cost of electricity and they’ve got big environmental impacts. Michael Shellenberger: Yeah, they’re really the worst for the environment, and it’s kind of easy to understand. Alan Jones: Just stop there please, stop there, would you please. Michael, please stop. There are people listening to be in Canberra, Malcolm Turnbull can you listen? And Josh Frydenberg, can you listen to what this man is saying about solar and wind, which you will be arguing for today in an energy policy. You just said they are really what for the environment? Michael Shellenberger: They’re the worst. Really, all renewables are. The reason is easy to understand, in the sense that the fuels are very dilute, they’re very diffuse, and so you have to cover a huge amount of land with wind and solar in order to collect sufficient quantities of their fuels. So it takes 150 times more land to produce the same amount of energy from solar as it does nuclear. It takes 750 times more land to produce the same amount of electricity from wind as nuclear. All of that, the materials required, the steel, the concrete, all the things that you worry about as an environmentalist, five to seven times more of them are required for wind and solar more than nuclear. And solar produces huge quantities of toxic waste. The solar panels include cadmium, chromium, lead, which are toxic heavy metals that never go away. They’re elements, and when they’re disposed of, it’s usually poor people in poor countries that are ripping apart the panels, burning the plastics off and inhaling toxic chemicals. They produce two to three hundred times more toxic waste than nuclear plants, which are the only way of producing electricity that contain all of their potentially harmful waste. Of course it’s been contained so well that nobody has ever been harmed by the radiation from nuclear power waste, ever. Michael Shellenberger: Yeah, and sort of what’s embarrassing is how long it took me to change my mind. I was raised anti-nuclear, I actually helped block a radioactive waste repository in California in my 20s. It’s a religion, you want to harmonise humankind with the natural environment. The truth is that the natural environment … if you want to protect the natural environment, we need to use less of it and that means that you move towards energy-dense fuels, things like uranium where you don’t have to use … Just a small amount of it, a Coke can of uranium is all the fuel needed to power your entire life. It’s all about energy density, and the same thing goes for the air pollution, the negative consequences. Nuclear outperforms all of these sources of energy. You mentioned that solar and wind require backup. A better way of saying it is that because solar and wind produce power just 20% to 30% of the time, really it’s the fossil fuels that are doing most of the work. Michael Shellenberger: Solar and wind introduce a lot of chaos into your electrical system. It’s intermittent, it’s unpredictable, and so you’re having to … you maintain all your fossil fuels. You have to be ready to turn then on and off at the flick of a switch whenever the sun goes behind a cloud or the wind stops blowing. The other problem is that you just end up getting too much wind energy when you don’t need it, like the middle of the night. Solar and wind, it’s like they’re almost set up to destroy cheap, clean, reliable energy. Alan Jones: Amazing, we’ve got a government in Australia-we’ve got a government in Australia that never stops talking about this stuff. You’ve given lectures on how nuclear has been thwarted by environmental campaigns, but ignorance predominates doesn’t it? Michael Shellenberger: Yeah, they’re fake environmentalists. You have to remember that there were genuine conservationists in the 1960s who loved nuclear, promoted nuclear because they understood it’s the only alternative to fossil fuels and hydroelectric dams, which also have huge impacts on landscapes. What happened was that there was a smaller group of anti-human so-called environmentalists that opposed nuclear precisely because it allowed for so much cheap and abundant power, and they thought, “Well, if we’re going to stop the human cancer, we have to cut off its energy supplies.” They turned out to be wrong about that too, because if you really want to reduce humankind’s negative impact, then we need to live in cities. We use more energy in cities, we need more energy for our agriculture, for growing food, and it turns out that actually energy consumption is correlated very strongly with environmental protection. We just need a lot of energy to protect the natural world. Alan Jones: Michael, it’s illegal to operate a nuclear reactor in Australia. Michael Shellenberger: You’ve got some really crazy anti-nuclear people down there. Alan Jones: No, we’ve got some crazy people full-stop, I can tell you, Michael. Explain to my listeners as we’re running out of time how 30 countries as of last year operate 450 nuclear reactors for electricity generation, 60 nuclear plans are under construction in 15 countries. We’ve got 40% of the world’s uranium and we listen to antinuclear people. How do you explain that? Alan Jones: I’ll tell you something, when you arrive in this country, we’ll have you on again. We can’t hear enough of you. It’s time we had a good healthy dose of common sense, and I thank you for joining us this morning. Michael Shellenberger: Much appreciated, thanks for having me on. Alan Jones: Not at all, there we are. It’s game, set and match. As I said, in France local politicians compete to have the next nuclear reactor built in their electorate because of the jobs and commerce they inevitably foster. We are an international joke. 40% of the world’s uranium reserves, 30 countries as of last year operating 450 nuclear reactors, 60 nuclear plants under construction, we’ve got nothing. You can hear more common sense from Michael in this TED TALK from June 2016 at the TEDSummit. I have reckoned that nuclear was the way to go since 1959 or earlier. It was a great shock to me when I retired from the Federal Energy Regulatory Commission, to find that the so-called “nuclear waste” and the actual weakness of meltdown in a halted reactor without auxiliary power, had been solved sixteen years earlier, three weeks before the infamous Chernobyl meltdown. I had almost made nuclear fusion my career, until I reckoned, after a year, that the two-particle second-order problem I was set by my PhD advisor was unreasonably difficult for my poor little brain, given that the twelve-atom benzene ring chemical stability problem had been solved at a lower level of accuracy, most satisfactorily, by the same quantum mechanics. After deliberating on this, I made the fortunate decision of a career in computer system software instead. Three years later I was working for IBM in England, and had the very rare and gratifying experience of proving that the reason my machine language program gave manifestly wrong answers, was not that the program was faulty, it was IBM’s early model of that machine. I was the only person in England to have found it, but a team in Poughkeepsie had already reported it and the engineers were working on a small redesign. Thanks STT for putting this interview on the site. It makes so much sense. I have to admit at one time I was very concerned about nuclear, but as time has gone on and no earth shattering devastation has occurred from all those nuclear plants my concerns have dwindled. Yes Chernobyl was pretty scary, but that ended up being more about the poor maintenance of the plant than any inherent danger in using uranium. The explanation of the problems with ‘renewables’ such as wind and solar should be broadcast throughout the media, but of course that means having more people in the media able to accept they are there to provide both sides of an argument and not just push their own and their owners ideologies. There was even a mention of the amount of land Hydro can take up as being not so environmentally friendly. With this particular subject there is also the need to have constant supply of available water, which as we know is not something that can be relied on in Australia. The sooner we have a PM who can see beyond his own ideology and one who is willing to take on and fight against Labor’s devastating energy policies by taking a fresh approach the sooner we can progress in a straight line. There are many ways we can work as a Nation to ensure our environment is ‘clean and green’, but we need people with vision in positions where they are able to take action. We also need to set aside the inter-state rivalry where energy production is concerned and work together as a Nation. will leads us to the city called Prosperity for All. Shock news. And, how many f*ng lives and businesses have been destroyed by useless weather-dependent windmills and solar panels for the virtue-signalling climate morons to finally get it? This interview on top of the information in this exciting article above will convince even the most delusional. Spot on! I’ve been doing a little ‘homework’ on this very subject, as part of a lengthy investigation into the ‘climate change’ cult over the last about eight years.There’s some good stuff to be had by check from pages 4 to 6 of this little thing about the weather: http://galileomovement.com.au/media/ShouldYouReallyBeAlarmed.pdf. I do believe that Michael Schellenberger does get a mention! P.S. I am presently reading Ian Plimer’s latest book about the cult and the electricity shambles. It’s not only full of (gulp!) nasty facts, but is a real hoot at the same time – although if you are a fanatical ‘green’ you possibly (probably?) might not be very impressed. Ian Plimer’s book is a delicious treat.